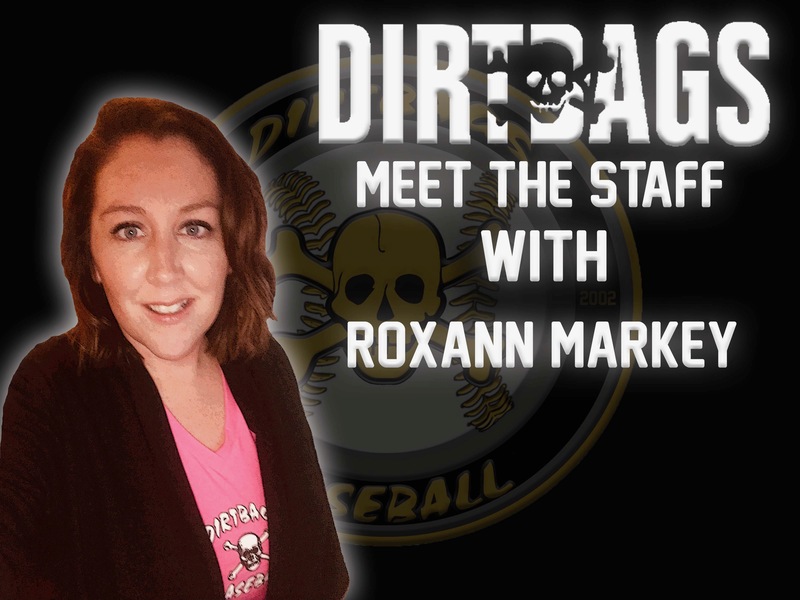 Roxann Markey serves as the Chief Operating Officer for Dirtbags Baseball. Through her prior experiences in athletic administrative roles, Roxann provides the Dirtbags organization with a wealth of knowledge for what it takes to support high school baseball players achieve their goals. Her passion for organized athletics dates back to her time as a high school athlete and gives her a unique perspective that makes her a vital part of the Dirtbags administrative staff. How did you get started working in athletics? While I was a student at the University of Virginia, I joined a student group that assisted the football office with recruiting events. I worked closely with the football coaching staff and the operations director, who then hired me to stay on full time after graduation. My father coached football and baseball my entire childhood, so I always knew that I would somehow be involved in sports in some capacity. I graduated from Louisa County High School in Virginia and then went on to graduate from the University of Virginia. Takes us back to working at UVA, what’s your most memorable moment? There are so many great memories from my time at UVA that it is hard to pick just one. One memory that stands out is serving as a hostess/tour guide to Chris Long during his official visit to UVA. Chris is the son of football legend and current Fox NFL analyst, Howie Long. I remember being so nervous to meet the family, but they were so down to earth and truly amazing people. Chris ultimately committed to UVA and went on to have an amazing career. This year Chris won the Walter Payton NFL Man of the Year award for his commitment to raising money and awareness for education, as well as helping to build clean water wells in Africa. He is a great example of an athlete who is using his talents to serve others. Getting to work with him at UVA and see how he was capable of making such a positive impact on the community is something I will always be grateful for. What’s a normal day look like for Roxann Markey working for Dirtbags Baseball? A normal day entails spending several hours trying to decipher text messages and emails from Trey Daly. The rest of the day is spent trying to enhance the Dirtbag player experience. How long have you worked for the Dirtbags? I began working for the Dirtbags in 2013 when I moved to Burlington and met Andy Partin. What’s one thing most people don’t know about the Dirtbags? I am not sure how many people know that Andy Partin started the Dirtbags at a very young age and built it from the ground up with very little resources. It’s a truly amazing story of how hard work and the vision of one young person could turn into an organization that has helped over 1000 players receive scholarships to play baseball in college. When you hear the word Dirtbags Baseball, what comes to mind? When I hear the name, Dirtbags Baseball, the first thing that comes to mind is “trendsetter”. From the eclectic uniforms to our social media accounts and website, we are setting the trends in travel baseball. When I see others imitating our style or copying our posts, I know we are doing something right!